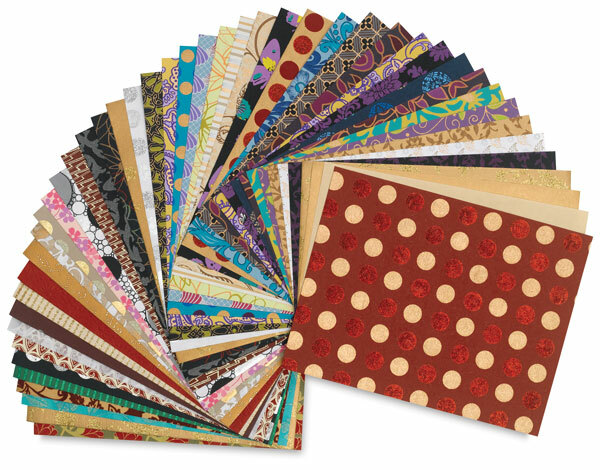 These are beautiful handmade papers for collage and card making, rubber stamping and other art projects. They not only look great, you can feel great using them because they're made from 100% post-consumer recycled cotton fabric waste. 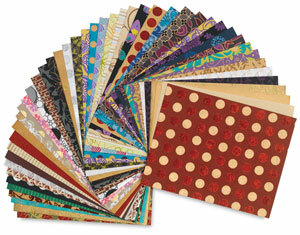 Durable and practically priced, each pack offers a random assortment from a range of 200 designs. Sheets are compatible with drawing and painting materials. Assorted Paper, 8½" × 11"